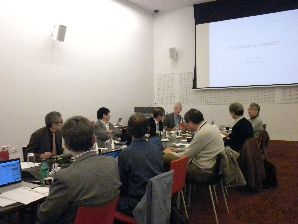 The Asia-Pacific High Energy Physics Panel (AsiaHEP) was established in 2012 to promote the activities related to high energy physics (including theoretical and experimental researches on particle physics, nuclear physics, astrophysics and cosmology, and application) in the Asia-Pacific region. High energy physics research in the Asia-Pacific countries/regions have historically been conducted country-by-country or region-by-region, and basically funded by the respective funding agencies; thus it has been difficult for the Asia-Pacific region to develop regional strategies for high energy physics. The Panel hopes to play a major role in realizing regional harmonization and coodination of the high energy physics/particle physics activities.